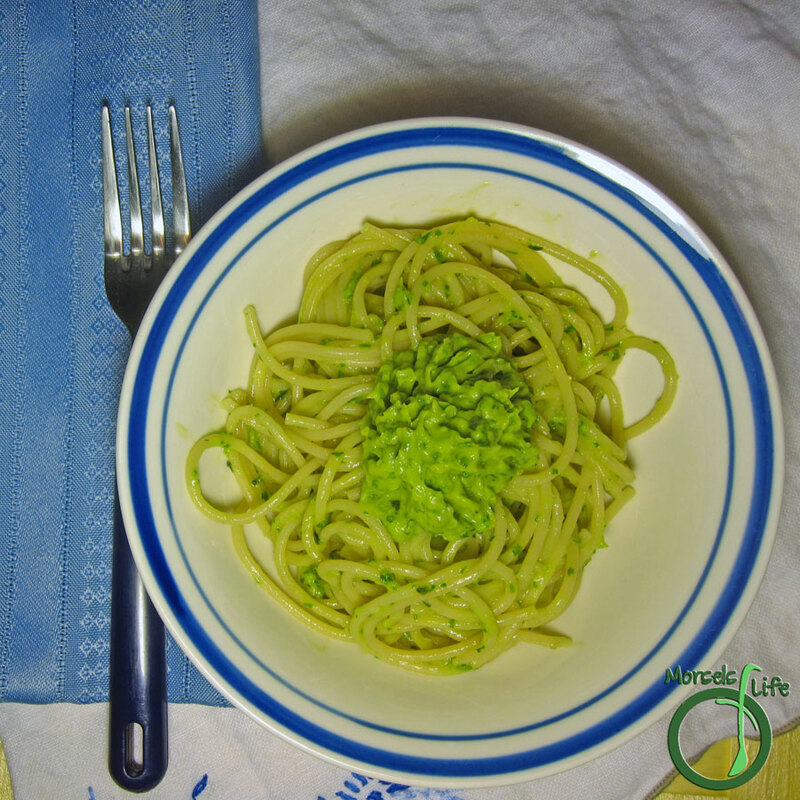 A creamy and tangy avocado sauce tossed with al dente pasta - almost like guacamole pasta! Maybe it's the mild winter, my subconscious yearning for the quick arrival of spring, or the discount avocados I got at my local grocery, but I felt a bright dish in order. Culinarily speaking, the winter months seem to drag endlessly with the same rotation of potatoes, squashes, and stews. With the glut of avocados, we could only eat so much tasty guacamole. I knew I wanted something unique, and I was in no mood to eat them like my parents, scarfing raw avocados as if enjoying a fine delicacy. Nothing wrong with eating them plain, but I haven't quite acquired the taste yet. I stumbled upon this recipe on Two Peas & Their Pod, where they incorporated avocados into a pasta. We were admittedly hesitant at first, but my desire to bust out of a rut won. The dish turned out a success - almost like guacamole pasta. :) James thought the pasta needed more salty flavors to balance it out, like bacon (but he likes bacon on everything). I still highly recommend the dish and would love to hear your reviews, especially if you decide to fine-tune things to your tastes. Which foods do you like to eat when yearning for spring? 2 servings pasta We used thin spaghetti. Combine with drained pasta just before serving, tossing to coat well. Thank you much for linking this to Must Try Monday. After the Black Bean and Avocado Salad I posted a while ago, I've been on a huge avocado kick! I love avocados. This sounds weird though looks delicious. I think I agree with James, avocado and bacon always work well together. Must try this one out of curiosity. Have a great week-end.